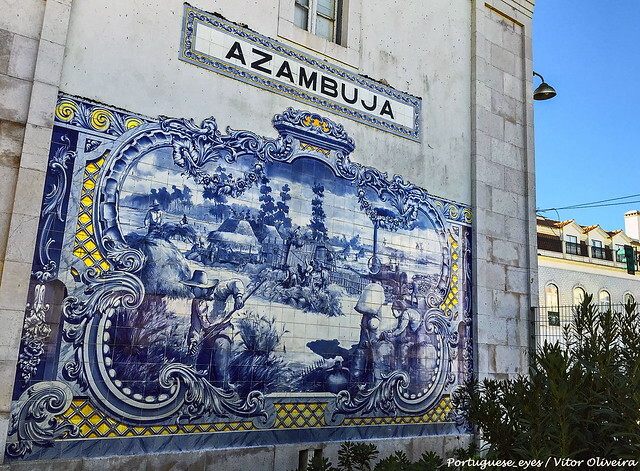 Along the Tejo River east of Lisbon, you can find Azambuja, a pleasantly rural municipality with many country houses on offer. Thanks to its calm lifestyle, great location by the Tejo and highway access, Azambuja property has a lot going for it. The population of Azambuja is close to 22,000 and the municipality is divided into seven civil parishes. 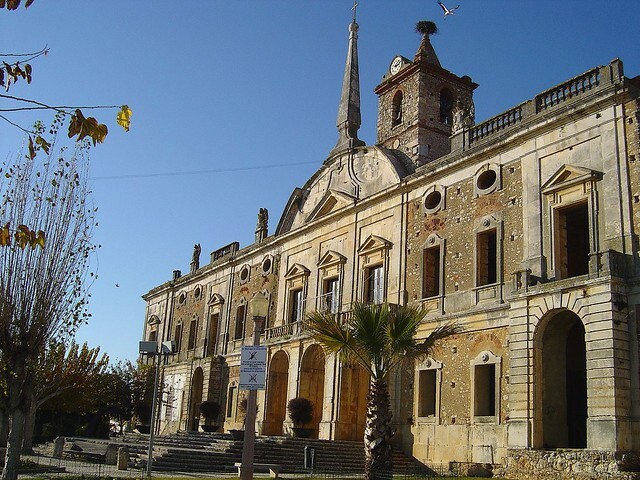 It borders the district of Santarém, making it the easternmost municipality in Lisbon surroundings. To the south, you can find Vila Franca de Xira, while to the west are Alenquer and Cadaval. Azambuja property is well connected to the capital by the Linha da Azambuja – the ‘Azambuja mainline’ in English. The municipality is also just a forty minute journey to Lisbon’s international airport when you follow the Tejo River all the way into the city. This is perfect if you travel a lot and are looking for a part-time property in Portugal. For international buyers, the Portuguese government has introduced the Non-Habitual Resident (NHR) tax benefit programme, which brings various advantages when it comes to investing in property. Similarly, non-EU nationals are eligible to a so-called ‘Golden Visa’ when they invest a minimum of €500,000 in Portuguese property. This is a huge draw card that you should consider if you are looking to buy here. The average price for an apartment in Azambuja is Average price per sqm. in Azambuja (region) €1,023 0% properties#: 53 last change on: 19 Apr 2019 €1,023 per square metre and for houses it’s Average price per sqm. in Azambuja (region) €1,053 0% properties#: 144 last change on: 19 Apr 2019 €1,053 per square metre. For investment opportunities, you can expect around Average price per sqm. in Azambuja (region) €769 0% properties#: 33 last change on: 19 Apr 2019 €769 per square metre. Wine lovers will be pleased to know that Azambuja is known for its vineyards; in fact, one of its parishes, Vale de Fornos, is a frequent winner in international wine contests, including the Wine Masters Challenge – World Wine Contest in 2012. Azambuja is a stop on many regional wine tours that you simply can’t miss. The famed Casa Cadaval estate, for example, is just a trip over the Tejo river, and it’s renowned for its vineyards and for being one of the oldest Lusitano horse breeders in Portugal. The spectacular Serra de Montejunto Protected Landscape can be found in the neighbouring municipalities of Alenquer and Cadaval. Serra de Montejunto is an inland mountain range surrounded by open plains and is certainly a prize for anyone lucky enough to live nearby. If you’re one to enjoy a hike amongst incredible scenery, you can drive there from your Azambuja property in under an hour. In fact, the mountain peaks can be seen from Parque Rural Tambor, a picturesque theme park situated in Azambuja. Quite a hidden gem in the countryside, Parque Rural Tambor is surrounded by idyllic scenery and boasts fun outdoor activities such as archery, crazy golf and zip wire. If you have young kids, bring them along for a great day out, though you’ll be sure to enjoy what’s on offer yourself. In terms of cultural offerings, the Pina Manique Palace is an unfinished palace that dates back to 1791. Named after Diogo Inácio de Pina Manique, his sudden removal from government office and untimely death saw works on the palace be abandoned. However, the building, located in a quiet village towards the north of the municipality, still retains its antique charm. Pina Manique isn’t the only palace worth knowing about in Azambuja. The Palácio Das Obras Novas (‘New Works Palace’ in English), also known as the Queen’s Palace, is another neoclassical gem but has raw rural beauty on its side; situated right on the banks of the Tejo River, it’s a fascinating reminder of times past, when it used to be a hidden countryside getaway for the nobility. If you’re looking for a Portugal property, Azambuja is a calm countryside choice.